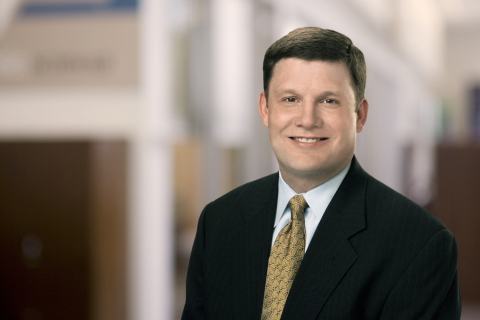 "We saw a healthy, consistent amount of M&A activity in the RIA sector last year as the independent model continued to be a destination of choice for advisors and more firms looked to fast track their growth"
SAN FRANCISCO--(BUSINESS WIRE)--There were 54 completed merger and acquisition (M&A) transactions in the registered investment advisor (RIA) space in 2013, according to industry-wide data released today by Schwab Advisor Services. The deals totaled approximately $43.6 billion in assets under management (AUM). RIAs emerged as the leading buyer category in 2013, representing 44 percent of overall deal activity for the full year. Strategic Acquiring Firms, the leading buyer category in 2012, represented 32 percent of transactions in 2013 vs. 53 percent in 2012. Across all deal types, there was a 20 percent increase in activity in 2013 compared to 2012, although overall acquired AUM decreased by 26 percent vs. 2012. The second half of 2013 closed with 36 completed deals totaling $28.2 billion in AUM, which doubled the pace of 18 deals completed in the first half of 2013. 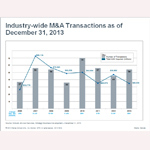 According to Schwab’s M&A data, the second half of 2013 showed smaller RIAs employing M&A as a growth strategy. 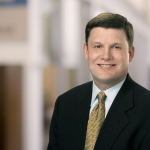 The trend reflects findings also seen in Schwab’s 2013 RIA Benchmarking Study1, in which 25 percent of firms with between $100 million and $250 million in AUM reported to be actively looking to acquire another firm. Schwab Advisor Services provides M&A industry data as part of a continued commitment to advancing the interests of RIAs, including a consultative approach that helps firms find others that meet their strategic growth plans while also being a good cultural fit. Additional information and new transitions content are available at www.SchwabTransition.com. All data compiled and analyzed by Schwab Advisor Services. Data reflects firms being sold with assets under management exceeding $50 million as of December 31, 2013.